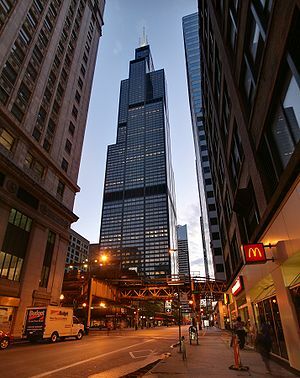 The 110-story Willis Tower in Chicago goes up 1450 feet, it is the second-tallest building in the United States. Visit the skydeck at 1353 feet for impressive view. From the 103rd floor, look out over 4 neighboring states, Chicago’s iconic skyline, Lake Michigan and the Windy City’s urban sprawl. Gaze at the streets and skyscrapers of Chicago beneath your feet. Don’t miss The Ledge, a glass box with a transparent floor a glass that is actually a balcony extending from the tower’s façade. Watch Reaching for the Sky, a short movie that traces Chicago’s rise to the top of the architectural world. General Admission includes access to our museum quality exhibits, our Reaching for the Sky video presentation, a visit to the observatory and access to The Ledge. They have an annual event called BLACKOUT that supports Metropolitan Family Services and its partner beneficiaries. Don’t miss the extravaganza with a silent and live auction! For more information visit: metrofamily.org.